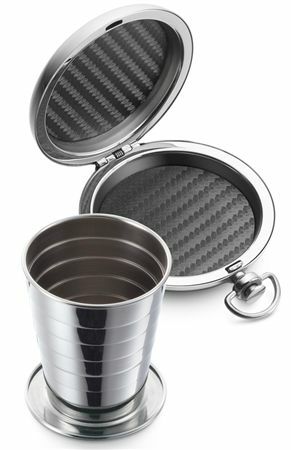 Order your Dalvey Explorer Pocket Cup today from FahrneysPens.com. Fine Pens, Refills & Luxurious Gifts – great prices & fast shipping. This precision engineered telescopic cup, comes in a satisfying spring-loaded push-button case with a stainless steel badge. Featuring a new deep engraved badge, which is precision-engineered to give unparalleled richness and clarity.